Leading Liverpool law firm Paul Crowley & Co Solicitors will be supporting this years Notre Dame College ‘careers event’ to be held at the college on Friday 30 November from 10.30am through to 12.45pm. The Anfield based solicitors will be represented at the event by practise manager Rachel Frost and personal assistant Louise Flood. Rachel and Louise will be on the Paul Crowley & Co stand throughout the event offering expert advice to students who are interested in following a career path in Law and would like to find out more. Students will be able to ask questions and take away with them our ‘Step by step guide to a career in Law‘. This careers event at Notre Dame School promises to be even bigger and better than previous years. Along side Paul Crowley & Co will be many other professions from a wide range of industry, who will also be offering valuable careers advice to students in helping them to make the right career choice. It provides the students with an opportunity to talk directly to industry professionals about work experience, apprenticeships, job vacancies, volunteering, and careers advice in general. Paul says: ‘We have a strong association, stretching back over many years of working with local schools in the Liverpool area and Paul Crowley & Co are delighted to be a part of this years ‘careers event’ at Notre Dame College. This is an exceptional opportunity for the students to gain an insight to a career in the legal profession and we wish them every success in the future’. 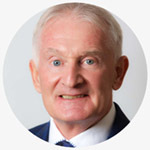 Paul Crowley, Senior Partner, Paul Crowley & Co.
You can find further information on the different specialist areas of law that we provide by visiting Paul Crowley & Co.